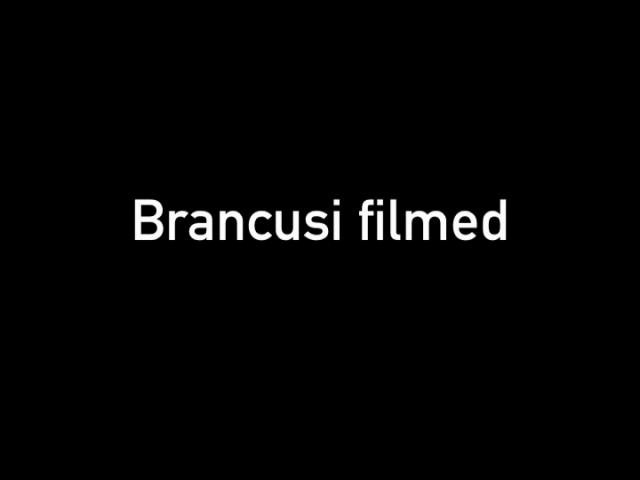 In the early 1920’s, Man Ray, who had previously taught Constantin Brancusi how to handle a still camera, introduced him to the movie camera. 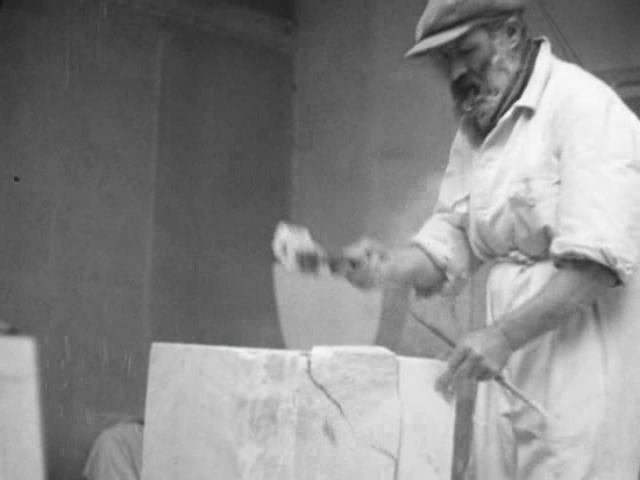 These fifty minutes of film, shot between 1923 and 1939, representing the sum total of all the images ever filmed by Brancusi, have never been shown before. This is both an exceptional document on the sculptor filming himself at work in the studio and an integral part of his creative output. 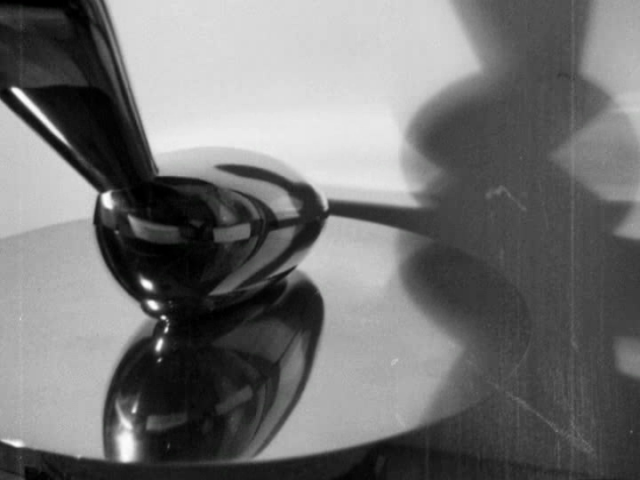 As with his photography, Brancusi makes use of framing, shadows, incident light and refraction in order to activate the plastic properties of his sculptures, and opens up this visual analysis to movement and to time. Leda and Fish can therefore be seen revolving slowly on their plinths, the coloums are given life in long upward panning shots and the changes in light play on the glass roof of the studio, now transformed into a film set. 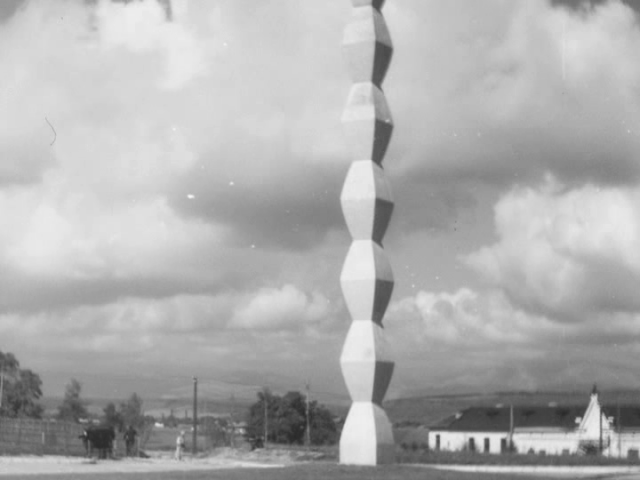 A long sequence is devoted to Brancusi’s journey to Romania and the construction of the endless column in Târgu Jiu.